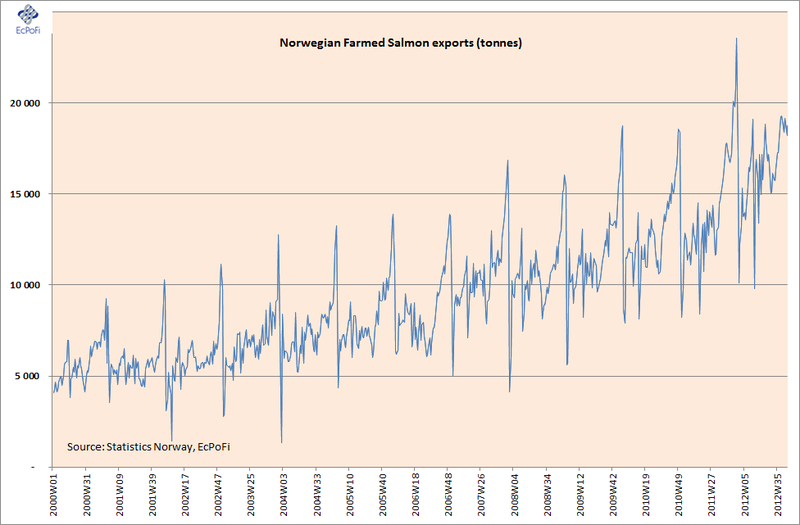 Statistics Norway reported an export of 18,749 metric tonnes of fresh/chilled and frozen farmed salmon from Norwegian salmon farmers in week 44, 2012. On a rolling average four week basis volume in tonnes exported was up 8.6% (1,470 tonnes) on the same period last year. 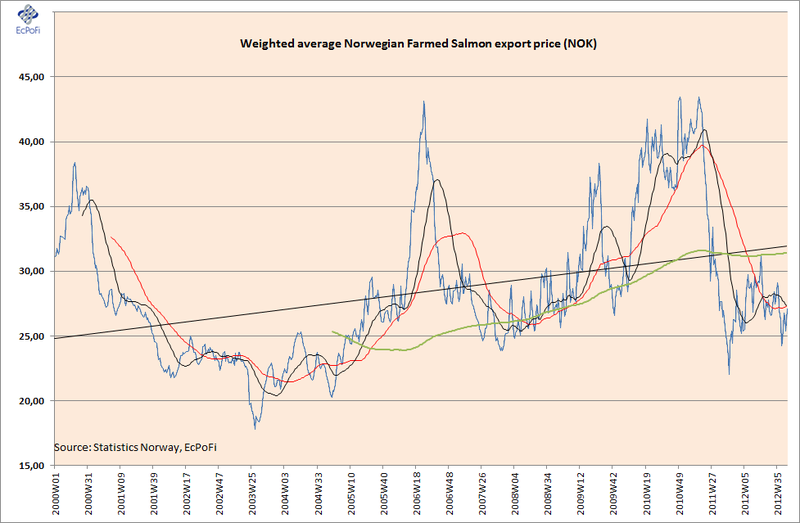 The weighted average price per kilo for the week was NOK 27.07 and was up 11.7% YoY on a rolling average four week basis. 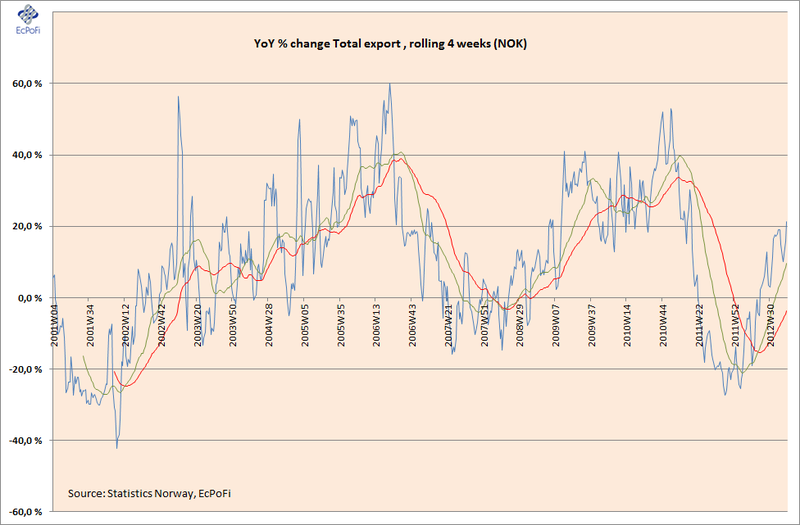 The value of exports for the week was NOK 507.619 million, an increase of 21.3% (NOK 86.235 million) on last year on a rolling average four week basis. 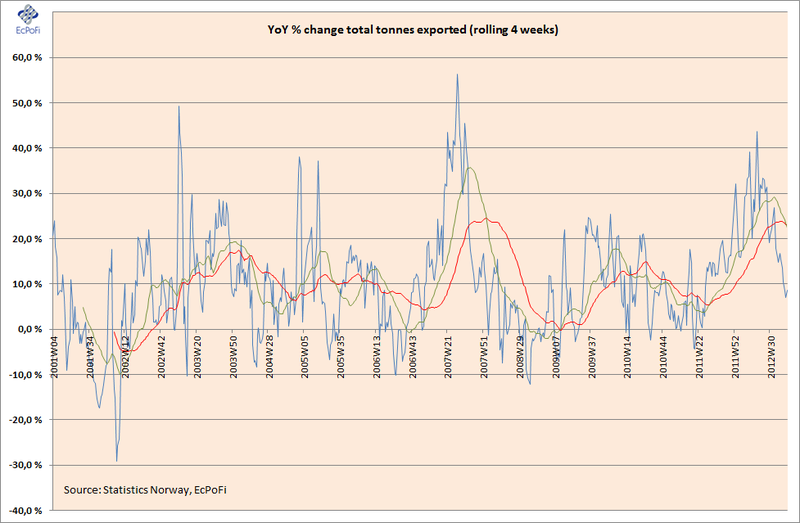 Total tonnes exported continue to increase on last year and increased at the quickest pace for three weeks. Following three weeks in a row with a decrease in price on last year on a rolling average four week basis, prices for the week increased for the third week in a row. The price increase was the highest since week 12 2011. 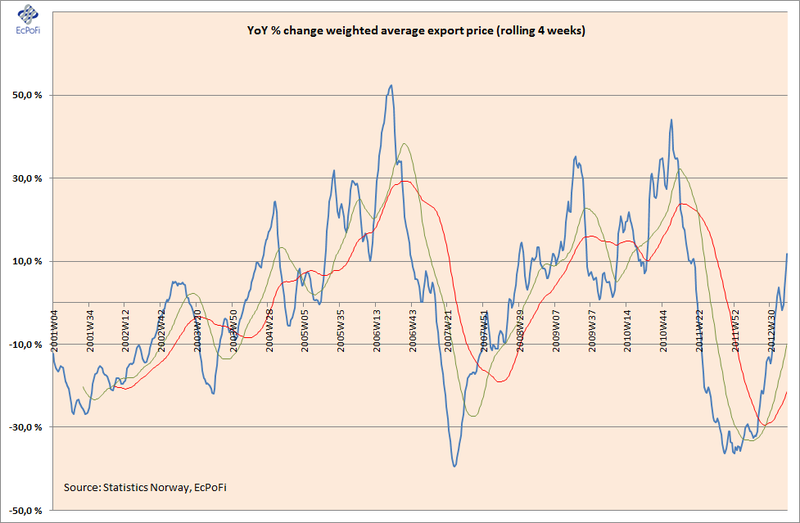 The total value of exports continued to increase on last year, driven by an increase in volume and for this week especially price, and represented the 23th week in a row with an increase on last year (on a rolling four week basis). This increase was the fastest since week 16 2011. 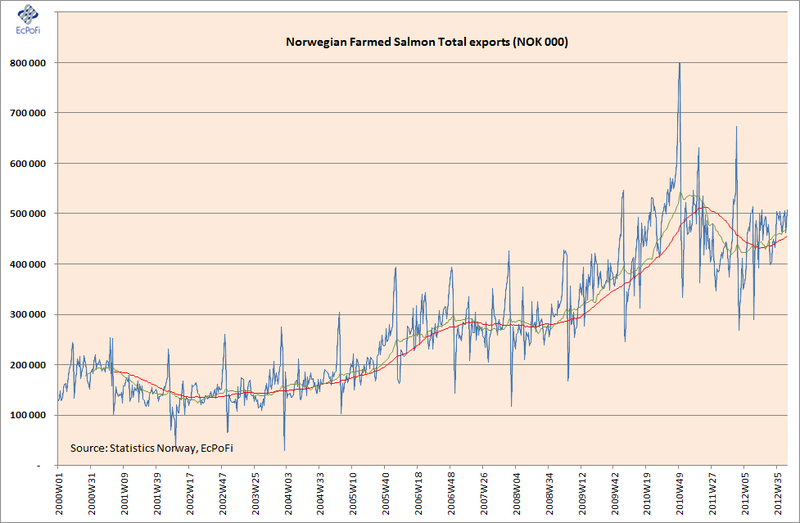 For a Year to Date update on Norwegian Salmon exports (as of week 43), please go here.